Welcome to the Lakes Need Water newsletter September edition. 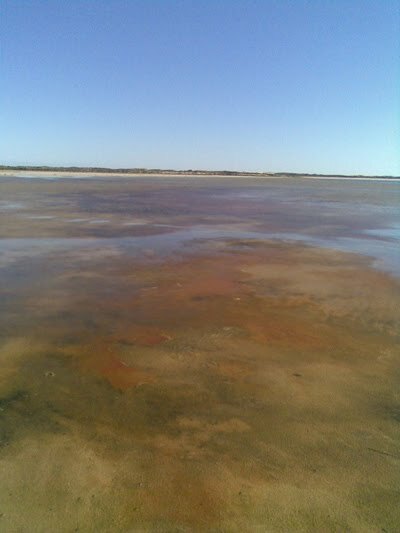 DEH announced 28th of August that the 200 ha Loveday Bay has turned acidic, (pH 2.3) Loveday Bay is located in the SE corner of the lake close to the southern end of the Tauwhichere barrage. It once contained an excellent wetland, the vegetation and bird life of which has all but disappeared. These charts from a recent CSIRO report show how many hecatares will turn acidic at different water levels or AHD. While the thin red line may not mean much to most people, the pie chart shows that 21,995 hectares will become acidic. In the fine print of the latest from DEH is the fact that a decision on the temporary weir at Pomanda has been delayed from 4th of September to 12th of October. Interesting that there is plenty of information on the remediation trials, yet nothing on the recent fish kill at Ewe Island. We've been told that Landline will be airing a program on the Lower Lakes. Try to catch it at noon, Sunday, 13th of September and watch for some of the LakesNeedWater folks. Who's lake bed is it? Officially it is Crown Land. Do farmers have the right to fence into the receding lake waters? Some very dodgy single strand barbed wire fences are appearing across the dry lake bed. Those of you considering using horses, bikes or hovercraft should use extreme care. Check out our new page on Fencing on public land. Send us your opinion to info@lakesneedwater.org. Speaking of hovercraft, read about the the unusual way officials are getting out to these hard to reach areas. Follow @lakesneedwater on twitter . If you don't know what 'twitter' is, ask your kids! Mention the website to friends and family. Post one of our posters at your local club or shop. These are ways you can help others learn about the crisis in the Lower Lakes. Encourage people you know to sign up for updates. Signing up gets you our monthly newsletter, and if any breaking news happens we will pass it along. We respect your privacy and your email address will not be used or passed on to any other site.